New research reveals that certain diabetes drugs may have a different effect on the hearts of men and women. While these drugs can control blood sugar levels equally well on both sexes, their effect on the heart may be something of a concern. Study findings appear in the December issue of the American Journal of Physiology Heart and Circulatory Physiology. 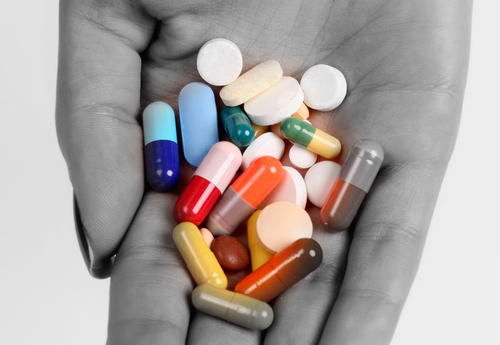 The researchers evaluated several diabetes drugs commonly prescribed among patients. The study involved 78 participants who were assigned to one of three groups- the first group received metformin alone, the second group took metformin and rosiglitazone and the third group received metformin and a fish oil called Lovaza. Metformin works by reducing glucose production in the liver and helps make the body become more sensitive to insulin. Rosiglitazone works by improving insulin sensitivity as well as help move free fatty acids out of the blood. Lovaza is typically used to lower blood levels of another type of fat called triglycerides. When the researchers compared the three groups regardless of gender, no significant differences in heart metabolism were seen. But when the researchers separated the results between the men and the women, the drugs showed different and sometimes even opposing effects on heart metabolism, even while blood sugar levels are well-controlled in all of the patients. The researchers discovered that metformin caused the heart metabolism in men to change into an undesirable direction. The drug caused the heart to burn less sugar and more fats. According to Dr. Gropler, this effect can cause some detrimental changes the heart muscle, which can increase the risk of heart failure. “Instead of making heart metabolism more normal in men, metformin alone made it worse, looking even more like a diabetic heart,” Gropler stated. “But in women, metformin had the desired effect – lowering fat metabolism and increasing glucose uptake by the heart,” he further added. Taking either Lovaza or rosiglitazone seems to diminish the negative effects of metformin in men. But the women seem to enjoy improved heart metabolism with the addition of rosiglitazone. Adding Lovaza did not indicate a substantial effect in either direction for both sexes. According to the researchers, this may be the first study to investigate the role of gender on the hearts response to diabetes treatments. Based on the results of the study, it may be essential that doctors need to consider separate treatment regimens for diabetes for men and women. Source: Washington University School of Medicine. “Diabetes drugs affect hearts of men, women differently.” ScienceDaily, 12 Dec. 2013. Web. 1 Jan. 2014.